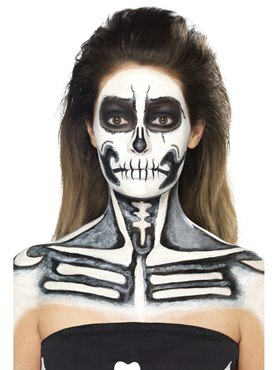 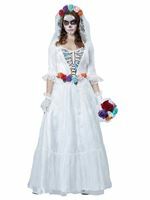 Await your Senor in our Adult Day of the Dead Skeleton Bride Costume! 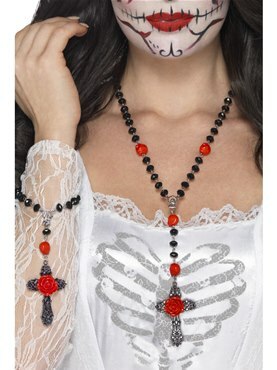 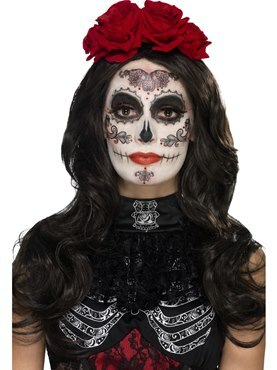 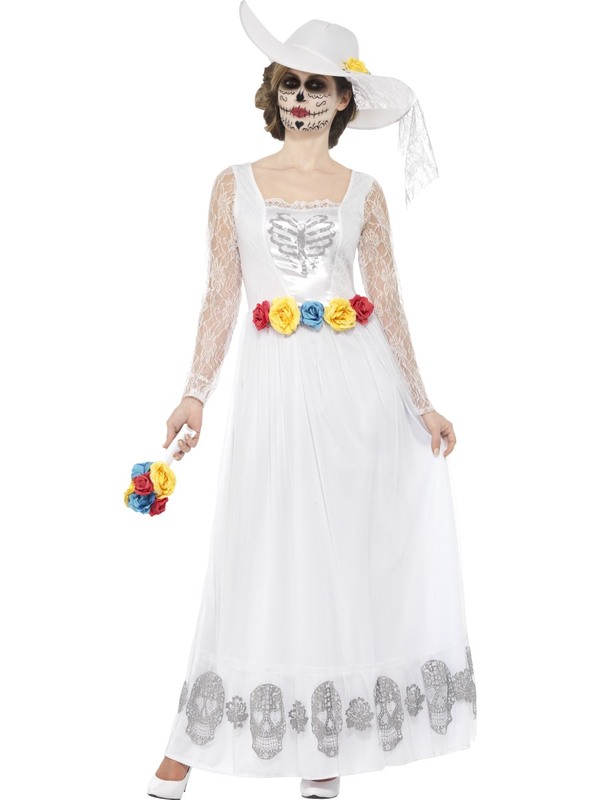 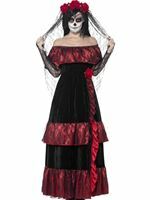 Commemorate the Dead in this Traditional Day of the Dead Bride Costume! 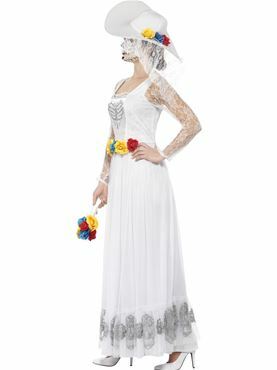 The Outfit comes complete with Ankle Length White Wedding Dress featuring the Skull Print on the Hem and Multicoloured Roses around the Waist along with the Lace Sleeves and Printed Rib Cage on the Bodice. 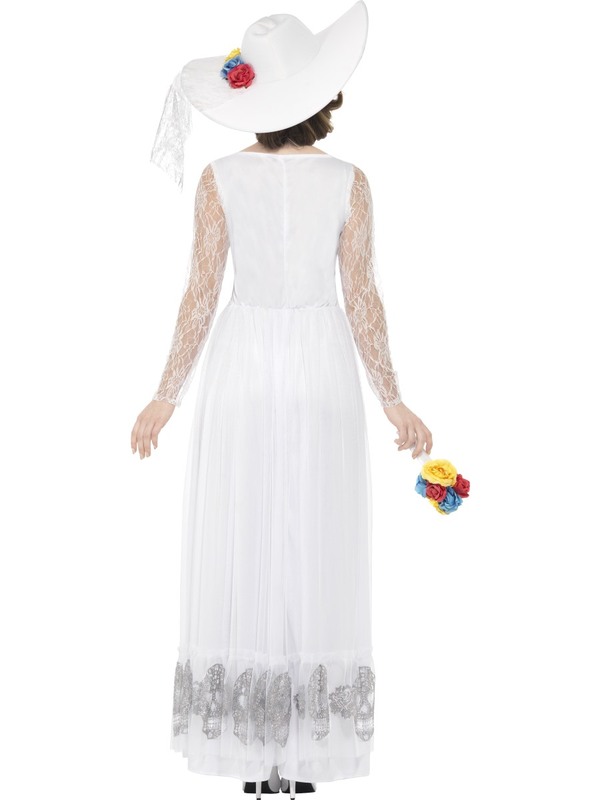 Completing the Look is the Matching Bouquet and Large White Hat with the Lace Veil and Yellow Rose. 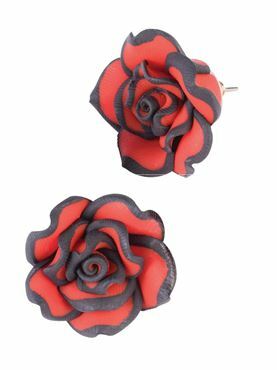 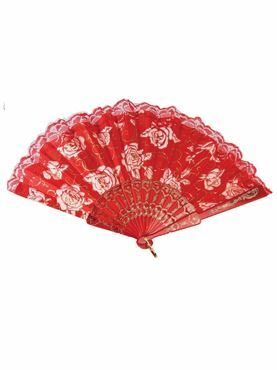 Small 8 - 10 32" - 34" 26" - 28" 55"
Medium 12 - 14 34" - 36" 28" - 30" 56"
Large 16 - 18 38" - 40" 32" - 34" 58"
X Large 20 - 22 42" - 44" 36" - 38" 60"